When we create a website, one of the most common issues we must address is how to list the site in search engines like Google. Whenever I talk to newbies who are not aware of how the search engine works, they think that they need to pay Google or other search engines to list their website. This is is not true, of course. You can show your website in a Google search for free. The only thing you need to work on is helping Google to find your blog. This could be easily done with the help of Sitemap file. All you need to do is, generate Sitemap file for your website and submit it to Google. First we need to understand what a sitemap is, and why submitting your sitemap to search engines is important. A sitemap is an XML file that contains the URLs inside your blog. 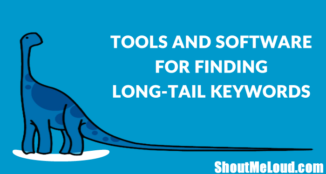 This file helps crawlers to find all of the URLs of your blog. 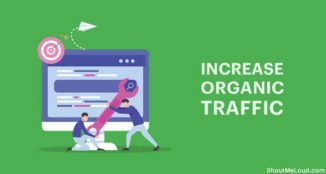 There are many aspects of your site that a crawler will follow, such as the size of your sitemap and the number of URLs in your sitemap. 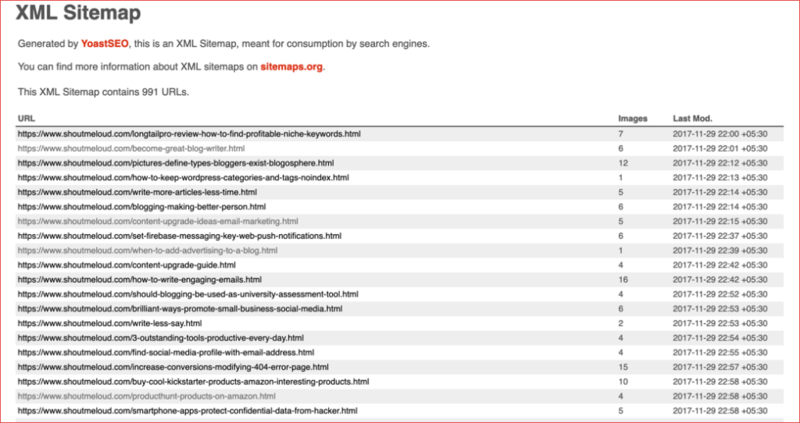 In short, a sitemap is a complete index of your blog that you want search engine bots to see. This wiki article on sitemaps will give you more technical and historical details. Simply stated, a sitemap file contains all the URLs of your blog, and you submit that file to search engines to let them know about all the pages of your blog. 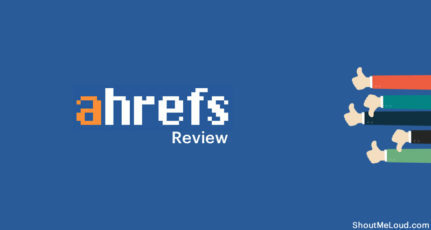 Search engine bots follow sitemap files to crawl and index your website. You can learn more about crawling and indexing here. 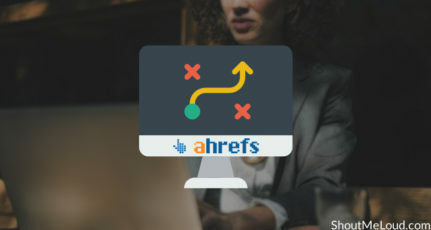 For a normal website, we use an online sitemap generator to create a sitemap file and submit it to webmaster tools offered by Google and Bing. 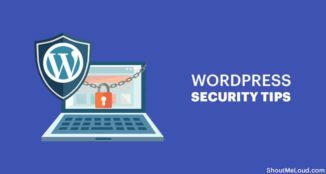 For WordPress blogs, we use plugins that automatically keep updating our sitemap file as we publish the new post. This way, you don’t have to resubmit a new sitemap after publishing new articles. 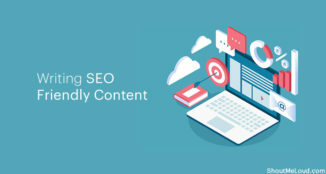 It’s a good practice to place your sitemap file link at the footer of your website so that search engine bots can quickly discover and follow the site map file and crawl your blog more effectively. Now that we know what a sitemap is, let’s move to the next level. Sitemaps can be generated in different ways depending on the platform you are using for your website. For example, WordPress sitemaps can be easily generated using popular SEO plugin call Yoast SEO. Read this tutorial to learn more about it. For another platform like those for static sites, there are many online tools and types of offline software which will help with sitemap generation. For the purpose of this post, I will assume you know how to generate a sitemap, and we will now learn how to submit that sitemap to Google. Head over to Google search console and select your website. If you have never submitted your site before to Google, read this tutorial to add it and verify as well. Well, thats it. 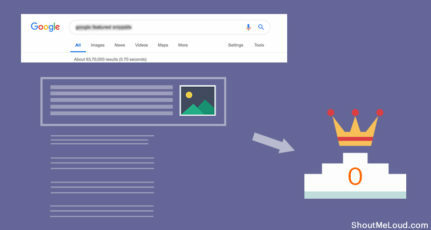 Once you hit the submit button, Google will crawl your sitemap file and start crawling and indexing all the links listed in the submitted sitemap file. If you are using old version of Google search console, then follow the steps outlined below. Inside your Google Webmaster Tool dashboard, on the right-hand side you will see an option called “Sitemaps”. 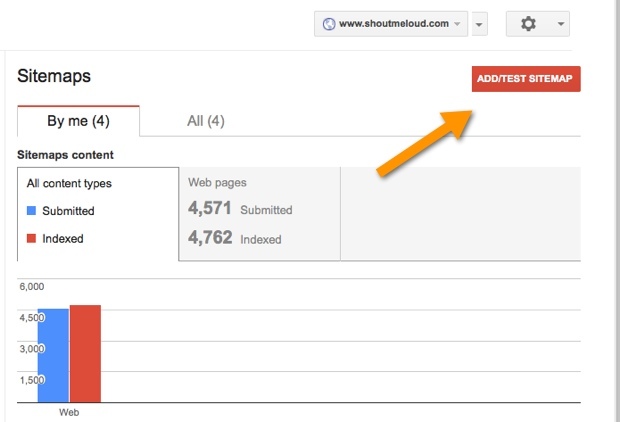 Click on “More” to see all submitted sitemaps, or you can submit a new sitemap from there. Click on “Add/Test Sitemap” to submit your sitemap file. On the same page, you can see which sitemaps are discovered by Google or which sitemap files have been previously submitted by you or someone from your team. Depending on what type of sitemap you have generated, you can submit it from here. If you are running a site with lots of images, I suggest you create an image sitemap, as we already discussed in Image SEO optimization. You can also create a video sitemap for your website. For a WordPress blog, you can create image sitemaps using this WordPress plugin. If you are submitting a sitemap for a new blog, it might take some time for you to see the index status. With index status on the same page, you can see how many URLs are submitted via sitemap and how many links Google has indexed. Once you are finished submitting your blog sitemap to the Google search engine, I suggest you read this guide and then repeat the process with the Bing Webmaster Tool. Here is a detailed guide to submitting a sitemap to the Bing Webmaster Tool. Let us know whether or not you have done sitemap submissions for your website. 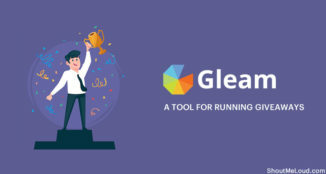 What other SEO-related things do you do for faster indexing of your blog? Remember to share this post with anyone who might benefit from this information, including your Facebook friends, Twitter followers and members of your Google+ group! Currently, I am experimenting an experiment on google. If I submit a post for the index Fetch as Google without submitting Full sitemap on google. Anybody can tell me my post will index on google or not . Also tell me any disadvantage of this. What shud I do nw? Thanks Harsh for this well detailed post, really helpful. 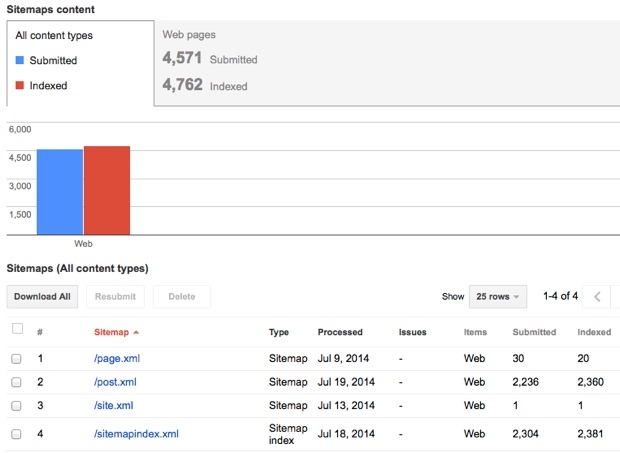 How Long Does it take a submitted sitemap to show the indexed status in Google console? Can we submit sitemap of two blogs with single emai id. Now the Sitemap url has been changed. Is there any difference between the sitemap created by Yoast and the sitemap created by Google XML sitemap. If so then which one is better? If you already using Yoast plugin then you should use the Yoast plugin for sitemap. Thanks a million for such a great article. I have submitted my sitemap to google search console. The sitemap (sitemap_index.xml) is generated from Yoast plugin. How can I make the site-links appear in the google search?